Halalgate. The shocking photo above was posted on Twitter by a Saudi Arabian user. 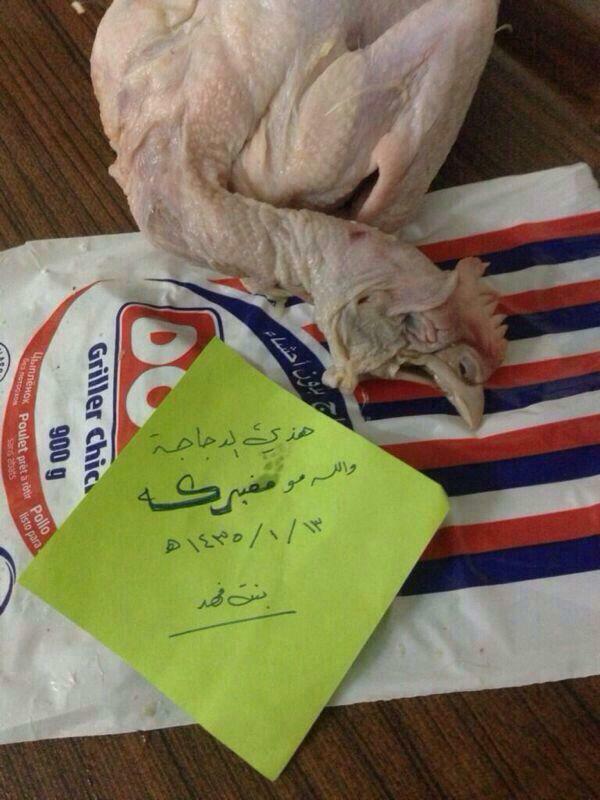 Shocking, because this chicken is being sold in Saudi Arabia by the poulterer Doux. This chicken is labelled halal, meaning its neck should be cut. However, we can clearly see on the photo that this chicken wasn’t slaughtered following the Islamic animal slaughter rites. The reason is simple: Doux isn’t selling real halal chickens, but chickens fraudulently labelled as halal. This is a gigantic fraud which has been lasting for years, a fraud whose victims are innumerable, a fraud that the French state is supporting: the newspaper Le Monde reported this morning that Doux and Tilly-Sabco will receive a financial aid of 55 million euros in order to keep selling their fake halal chicken abroad, most notably in Islamic countries. This photo posted on Twitter isn’t a premiere. 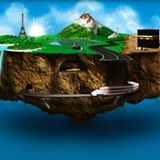 And yet, the Muslim internet users fail to realize the formidable power in their hands in order to put Doux, Tilly-Sabco, Al-Munajem, financial partner of Doux, and the French and Saudi Arabian authorities in front of their responsibilities. It is crucial that each one of us diffuse this photo on social networks. The current situation will change if each individual urge the competent authorities to act. Or else, we will keep eating for years haram (illicit) chicken only a few meters away from Mecca; which is nothing less than sacrilegious. Thanks in advance for clicking on the share buttons of every social network, be it Facebook, Twitter, Linkedin, Google+, in order to allow maximal circulation of this article. It’s important.